Last week two executives were given jail sentences for their involvement in the operations of an Italian factory where workers were exposed to asbestos. This case related to manufacturing operations more than 25 years ago. And yet in 2011, Hyundai Steel, a leading steelmaker in Korea, is using thousands of tonnes of crushed serpentine rock, containing significant quantities of asbestos, to remove impurities during the production process in its Korean plants. It has been estimated that up to 5,000 Hyundai workers are receiving hazardous exposures from this practice. Truck transporting serpentine at the Hyundai Steel factory. On July 29, 2011, campaigners from the Ban Asbestos Network of Korea (BANKO) demonstrated in downtown Seoul in front of the offices of the Hyundai Motor Group to highlight the use by steel and automotive industrial giants of raw materials contaminated with asbestos. 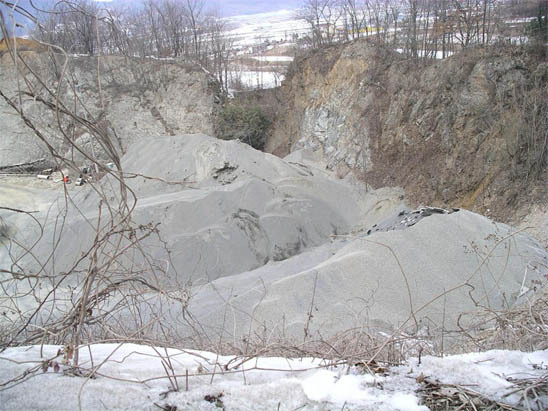 Despite the ban introduced in Korea in 2009 on the import, use and sale of asbestos, there appears to be no attention paid to the hazards posed by exposure to asbestos-contaminated raw materials. Last week's protest followed a press conference on July 13 to raise awareness of this threat to occupational and public health. 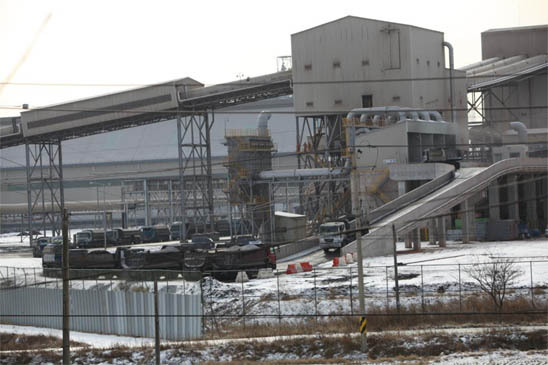 BANKO spokesmen told journalists that as a result of Hyundai's unacceptable practice, miners, transportation workers, local people and factory personnel could contract deadly asbestos-related diseases.